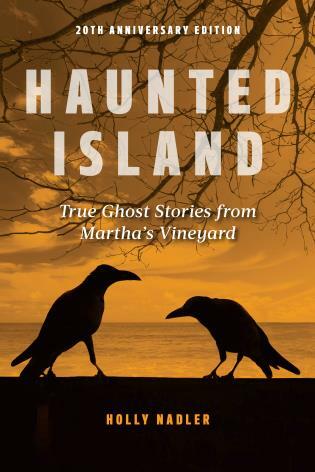 It's no surprise that remote Martha's Vineyard is home to a significant population of ghosts. There are the strange entities that just may have played a part in the notorious accident at the Chappaquiddick Bridge. There is the ghost of aristocratic Desire Coffin, called back from the Other Side by the power of music and the memory of lost love. And at one haunted inn, Room 8, accessible only by way of a cramped hidden staircase, is the focus of strange events—including the total disappearance of one guest. Holly Nadler is a long-time resident of Martha’s Vineyard and former owner of the island bookstore. She has written several books about the Vineyard, including Vineyard Supernatural and Vineyard Confidential. She is also the author of Ghosts of Boston and has conducted ghost tours both in Boston and on Martha’s Vineyard.